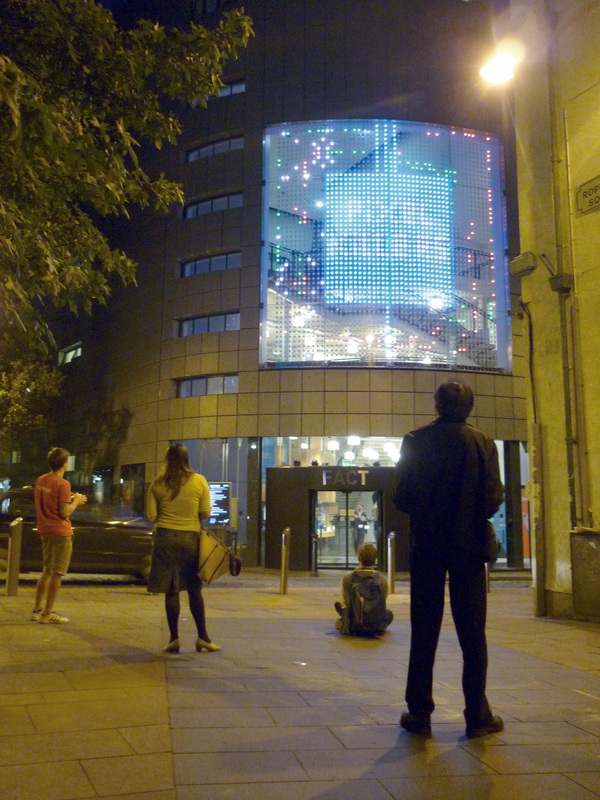 Pixel Killers is a game-art installation on the digital facade of FACT. The artwork aims to convert the building and public space into a playground and offer audience a playful experience. 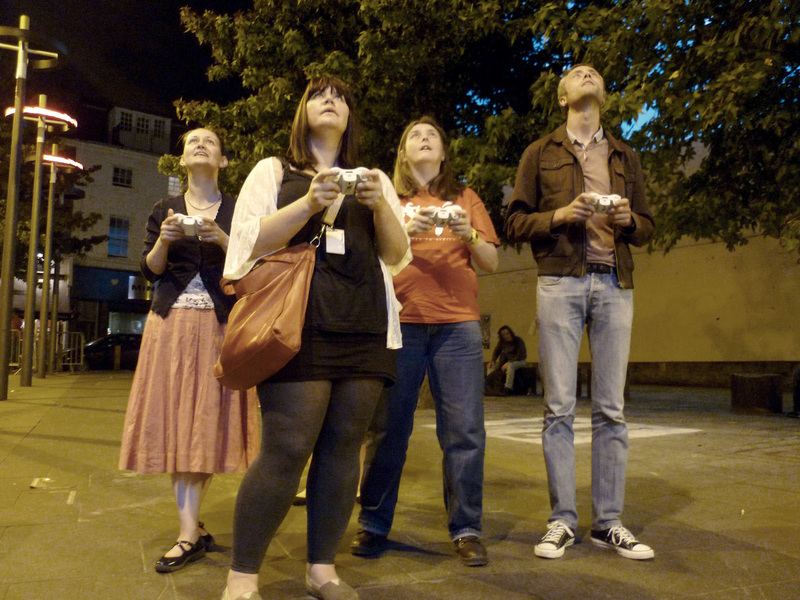 Participants are using Xbox game pads for interacting with the building and each other. 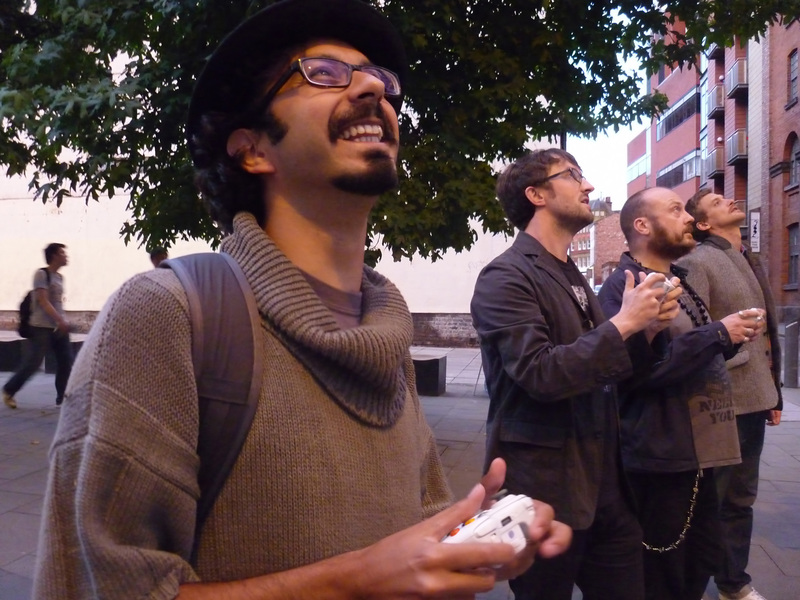 Pixel Killers is a team game: two teams of two. Team one are the greens and team two the reds. The ones, who gain the required score first or shoot both opponents, are the winners. As a result, the whole digital window turns into the color of winning team. 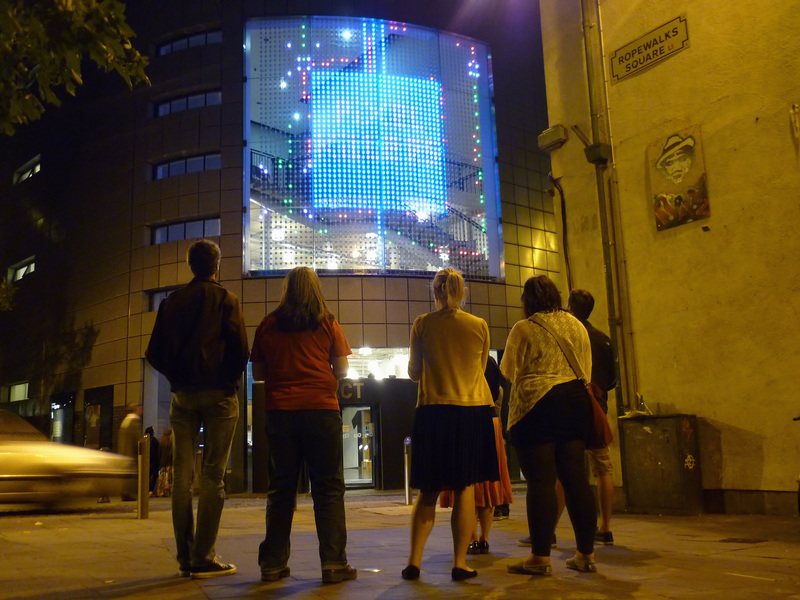 Pixel Killers has been produced during EMARE residency at FACT (Liverpool, UK).